Onstage for Indo-English theater productions or in her own informal sketches, Priya brings forth various dimensions of her personality, dance training, voice modulation, stage presence and emotive experience. For her, acting has been enmeshed with dance as the two often go together. Her keen sense of communication with live audiences through dance presentations, gives her an added edge while delivering on stage or on film, presentations in Hindi or English or ‘Hinglish’. From comedy to tragedy, Priya loves to experiment with portraying eclectic characters- as part of simple or complex plots, for different age groups and types of audiences. 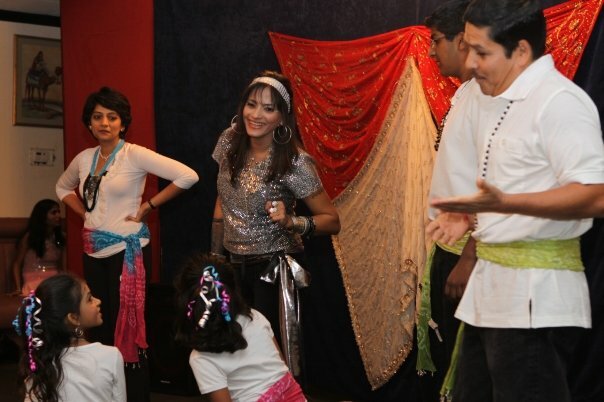 Priya has acted in, directed dance for or created skits for both children and adults for a bilingual audience [Hindi/English]. She keeps in mind the varying degrees of exposure a particular audience may have had to the subject of her play, while directing or portraying the role. Another one of her past significant presentations was in the cameo role of “Nisha”- a firebrand elite socialite in Madhu Rai’s famous controversial Indo-English play “The Terrace” set in urban India. Using both Engish with sporadic, generous helpings of Hindi/Gujarati, and staged at popular auditoria in New Zealand, Priya’s characterization of the lead protagonist brought her acclaim within the Indian & extended community of the Greater Auckland region. The Terrace was a contemporary Indian play in English, staged over three nights in October 2007. It broke away from the folk theatre genre to explore a modern format. The play, set in a rich Indian city milieu with characters who gradually unearth hidden ambitions, intentions, foul play and affairs between layers of gin and tonic … and some twisted ends. Although there was virtually no Bollywood dancing in this somber dark satire, Priya’s monologues delivered packed punches throughout. The New Zealand media & audiences gave Priya several affirmative reviews based on her stellar performance. Stunning performance Priya! Thank you for an evening of brilliant acting. You looked ravishing and held us captive. Take care and see you soon when my daughter and friends start learning dance from you – Cookie Naidoo- Parent of dancing/acting young girls in Priya’s troupe. Prayas’ production “The Terrace ” played to packed houses all season in 2007-2008 at The Performing Arts Center and at Auckland Girls Grammar School Theater, New Zealand. Priya [far left] with the team of Prayas Theatre actors. Newspaper article of one of many musical directing projects in India. Priya has staged full-length Bollywood-styled sketches for the entire family since the 90’s in Mumbai. She has helped children & youth take the stage at Prithvi, Bhaidas, Rangsharda, Sophia Bhabha & other prominent auditoria in schools & colleges in Mumbai India. 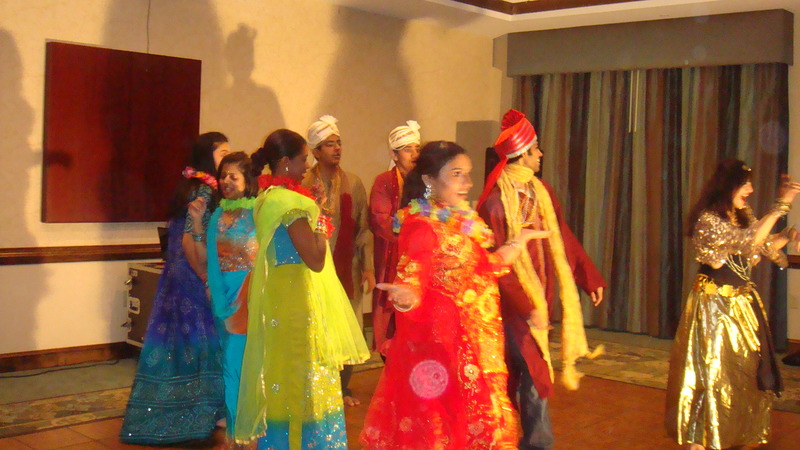 More recently, in 2009-2010, a comedy scripted and directed by her “Love Mera Hit Hit” – was staged as part of the entertainment at the Annual “Diwali Dhamaka” Ball for the Indian Friends Meetup Group, Atlanta’s biggest Indian social community. Along with them, members of Priya’s classes at Greater Atlanta Vedic Temple (children & adults) and Gwinnett County Parks & Recreations also performed in this hilarious comedy scripted by her. Priya played a cameo of a flamboyant dance tutor who coaches a novice learner how to dance in order to win the love of his dreams. 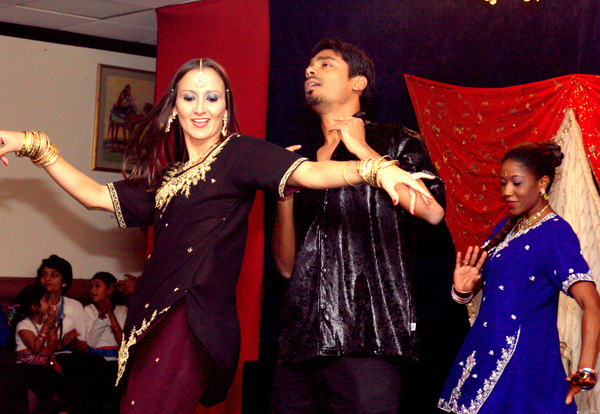 With several Bollywood routines, acting and humorous dialogue, superb acting & dancing by both kids & grown-ups, the production played to packed and appreciative audiences at three different destinations in Georgia from 2009 to 2010.